WOW! 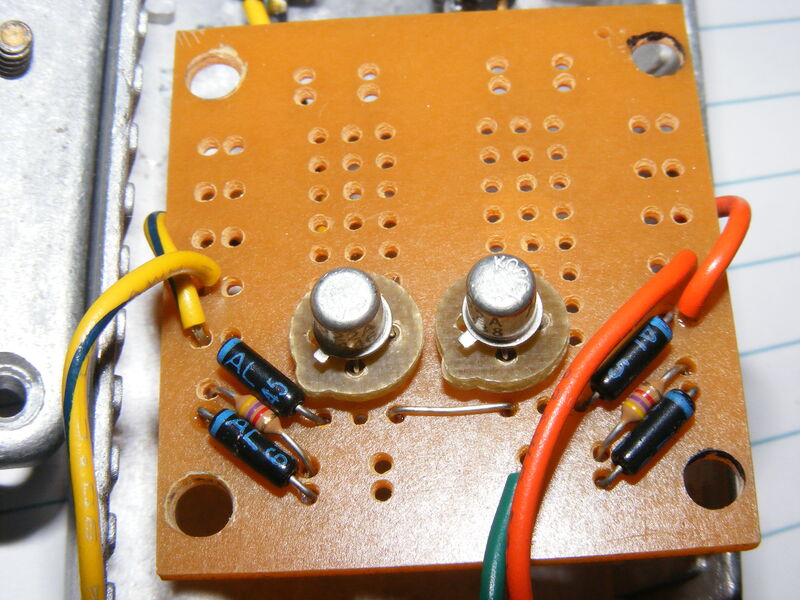 A fully functional CW Contest Keyer that works! 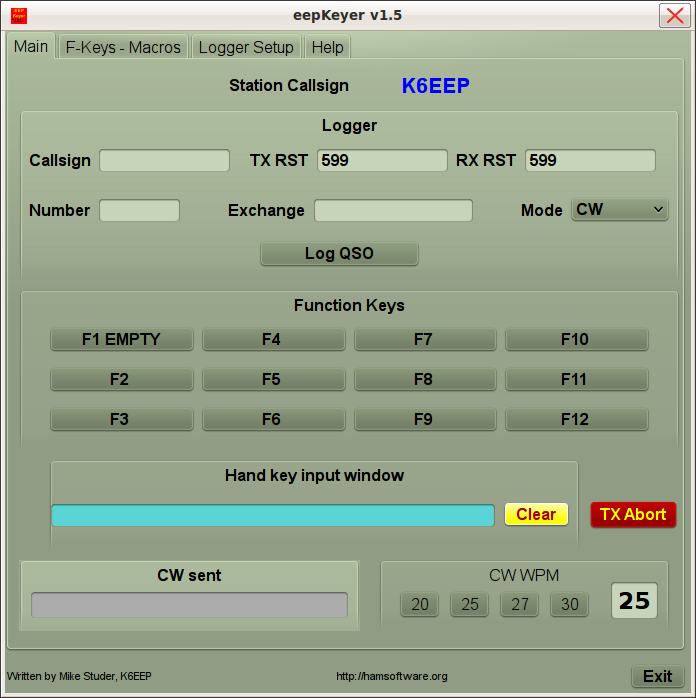 Fully integrated with cwdaemon and Xlog programs to give full keying and logging functions. Innovative design allows maximum user customization. Three banks of F-keys for fast mode switching. 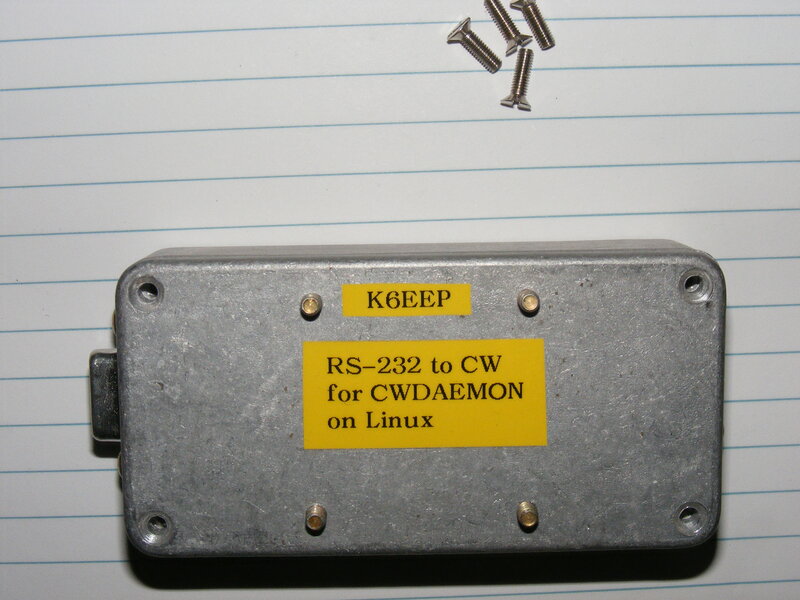 You can even just use it as a CW keyboard. User can set and save preset CW speeds they prefer. 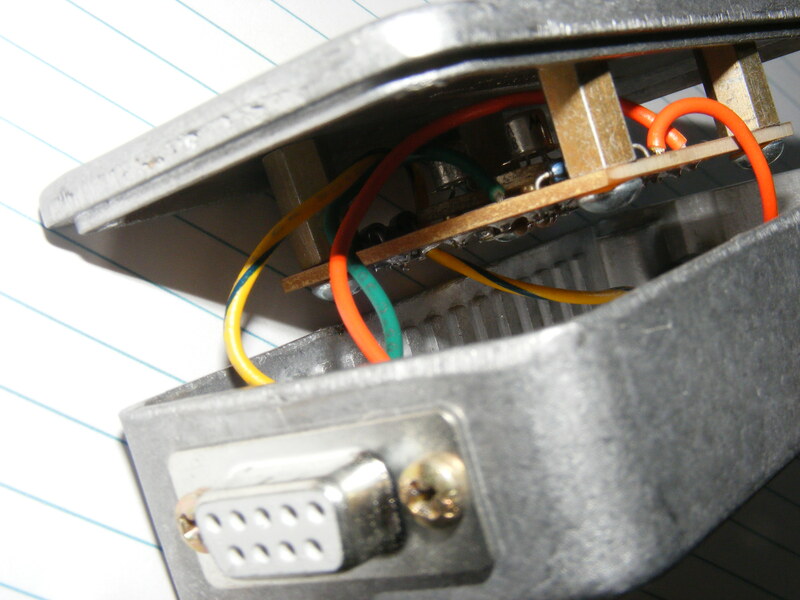 Serial port version shown. HiRes photos, they may load slowly. I wanted to give you a little feedback after the "HA DX CONTEST"
in which I took part. 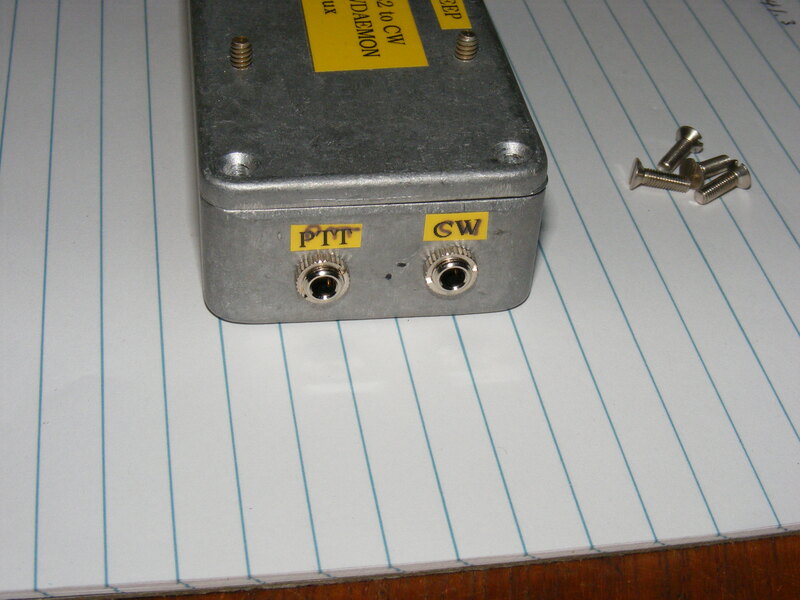 again in both CQ and S&P modes. Thank you again Mike! Installed and working like a charm!